Please take a look inside our Church. and visible communion with each other. For more than a century, this beautiful church has been a spiritual power House for people to have shared in this invisible and visible communion. Please come and taste this unconditional love of God and to experience this friendly atmosphere in our Holy Cross parish. to renew our faith and cast off any darkness that threatens to draw us from the path that God has planned for us. allowing His grace, love, peace and joy to renew, restore, and transform our lives. joy and goodness and guide us throughout the year to become who God intends us to be. and in unison sing praises of joy and thanksgiving, for CHRIST IS RISEN FROM THE DEAD. BLESSED IS THE RESURRECTION OF CHRIST. Jesus has gone to search for our first parent… he has gone to free from sorrow the captives Adam and Eve, he who is both God and the son of Eve. He took Adam by the hand and raised him up, saying: “…I am your God, who for your sake have become your son… See on my face the spittle I received in order to restore to you the life I once breathed into you. See there the marks of the blows I received in order to refashion your warped nature in my image. On my back see the marks of the scourging I endured to remove the burden of sin that weighs upon your back. See my hands, nailed firmly to a tree, for you who once wickedly stretched out your hand to a tree. EASTER SUNDAY THE LORD IS RISEN! ALLELUIA! Our joy has been made complete. The tomb is empty. 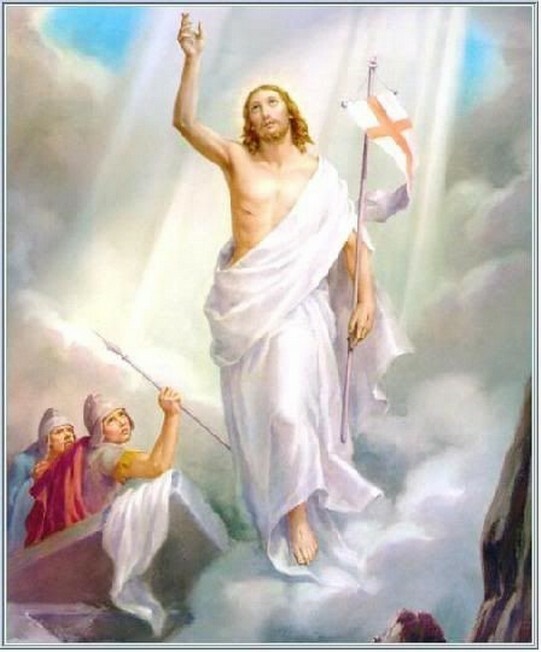 Christ has returned in the glory of the Resurrection. We try to fully participate in the Church’s Easter celebrations. And if we understand the meaning of Easter we will continue to rejoice in it Sunday after Sunday after Sunday… forever. Dare we return to the tomb of half-hearted Christian living? Part of the mystery of Easter is the many ways in which the tomb of death is empty. A big THANK YOU to everyone who helped make our Holy Week celebration so special: Those who cleared, prepared and decorated our Church so beautifully, those who put together all the resources and equipment we needed, including the school playground, all involved in the music ministry, the huge number of readers, the extraordinary ministers of the Holy Eucharist, welcoming ministers, offertory collectors, the hard-working altar servers and most especially all of you who came along to participate in our journey through Easter. Thanks again. 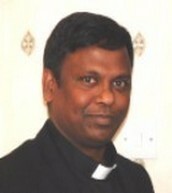 EASTER COLLECTION: Today’s collection by tradition is your personal gift to the Parish Priest. Many Thanks. Congratulations to all those involved with the RCIA this Easter and especially those who celebrate the Sacraments of Initiation at the Easter Vigil. Blessings on Justin, Maria, Nicholas, Diana who will be confirmed and receive the Eucharist. Many thanks to the sponsors, godparents and families who have been so supportive. We keep the whole group in our prayers. We are grateful to the RCIA catechists for their hard works and commitment. We shall have a special Mass with Divine Mercy prayers and Divine Mercy Chaplet. Let us pray for the sick including Mariam Philomin, Fabian Chen, Fidelis D’Mello, Charlie Hyam, Rose Calver, Clifford Aristide, Agatha Lewis and Ann Whittington. To include anyone’s name, kindly contact Lesley Allen.